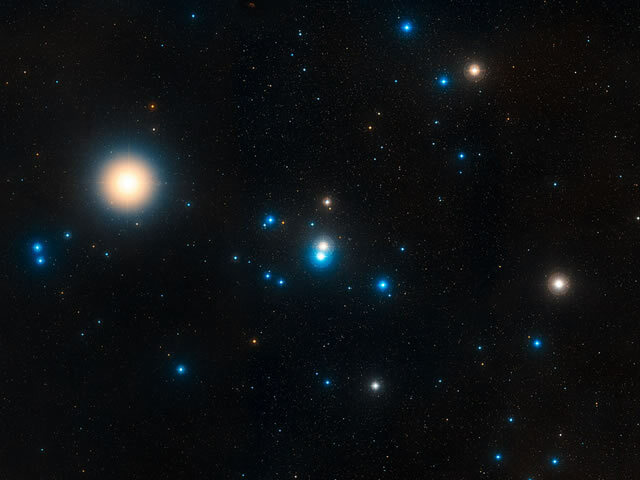 The Hyades is the name of a cluster of stars, situated next to the Pleiades. Astronomy: the Hyades cluster is the nearest open cluster of stars to our solar system. It consists of a few thousands stars that were formed from the same giant molecular cloud and have roughly the same age. The center of the Hyades lies approx. 153 LY away. Galactic History: It was colonized by a Lyran Caucasian group, at the same time as the Pleiades were. The Branton Material claims they are members of the Federation of Planets (Branton). Some contactees also mention Blonds that claim to be coming from the Hyades.